The Great Depression for Kids: Hardship and Hope in 1930s America, by Cheryl Mullenbach, has made the list of Notable Social Studies Trade Books for Young People 2016. The National Council for the Social Studies and the Children’s Book Council made the selection. Mullenbach was a weekly contributor to IowaWatch in 2015 with her Iowa Stories feature, which was discontinued as Mullenbach works on another book and other projects. She is a former history teacher, newspaper editor, public television project manager and social studies consultant living in Panora, IA. The Great Depression for Kids, published in July 2015 by Chicago Review Press, is written for children ages 9 and older, “providing them with a balanced, realistic picture of a time filled with suffering, but also with inspiring human stories,” a press release from the two organizations placing her to their list stated. The National Council for the Social Studies-Children’s Book Council list of Notable Social Studies Trade Books for Young People is an annual list of books the two organizations deem to be exceptional for kindergarten-through-12th grade social studies curriculum. The International Literacy Association honored Mullenbach and the book last year with an award for promising authors of nonfiction writing. 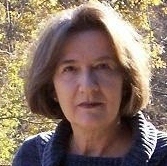 Mullenbach’s work has been featured on C-SPAN’s “Book TV” and a previous book, The Industrial Revolution for Kids and Double Victory: How African American Women Broke Race and Gender Barriers to Help Win World War II,” was selected for “Notable Social Studies Trade Books for Young People.” Mullenbach’s work can be seen at her website. You can see her 2013 C-SPAN appearance at this link. Mullenbach’s next book, Women in Blue: 15 Brave Officers, Forensics Experts, Police Chiefs, and More, is to be published this year by Chicago Review Press in 2016. Iowa History, a weekly column, appears at IowaWatch on Saturdays. Cheryl Mullenbach is a former history teacher, newspaper editor, and public television project manager.